India is not only a key hub for completely built-up units (CBU) but also for parts supply. 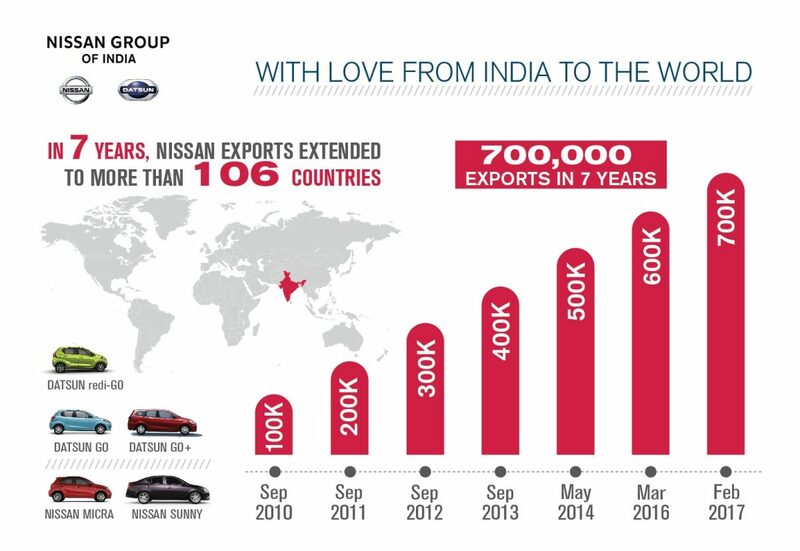 Nissan India exports over 2,500 types of manufactured parts to 25 Nissan and Renault plants in 18 countries, ranking in the top four in volume of parts shipped within Nissan global operations. Nissan Motor India Private Ltd. (NMIPL) is a 100% subsidiary of Nissan Motor Co. Ltd. Japan. The company was incorporated in 2005 and offers innovative and exciting products across the hatchback, MUV, SUV and sedan segments in India. Nissan together with its global alliance partner Renault set up a manufacturing plant and a Research & Development Centre near Chennai. Nissan in India has a portfolio of two brands, Nissan and Datsun. For more information, visit ww.nissan.in.